Claman on Call: FBN’s Liz Claman with an after-hours web exclusive on the markets, the latest pending home sales data and U.S. Treasuries. The markets were nursing a black eye after Monday&apos;s steep declines. The Dow shed 311 points to close at 16002, the S&P closed down 49 points at 1881 and the Nasdaq saw its biggest loss since August 24, down 142 points at 4543. 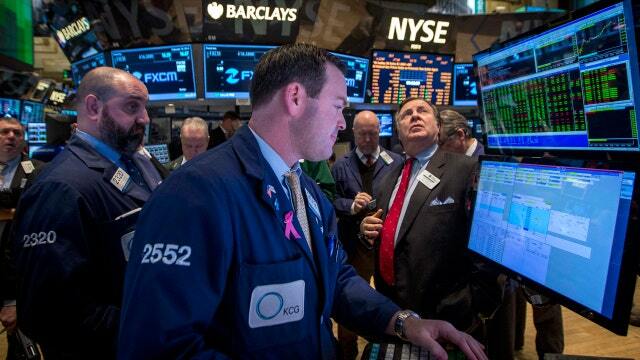 The S&P and the Nasdaq closed in the red Monday for the fifth day in a row. That was a streak the bulls really hated. Materials, energy and healthcare dragged the markets lower. Healthcare stocks alone dropped the most since August 24. We got some data Monday that could have contributed to the drop. August pending home sales unexpectedly fell 1.4%. Investors were looking for a gain of 0.4%. This could signal that growth in the first half of the year peaked for housing, but year-over-year the number is still pretty decent. As stocks traded lower, the Vix, or investors&apos; fear gauge, hit its highest level in more than a month. Spiking! Where was the flight to safety? It wasn&apos;t in gold. The commodity ended the day with its biggest daily drop in three weeks. And a rare flicker of green; Johnson & Johnson (NYSE:JNJ) and Alcoa (NYSE:AA) both bucked the trend to close higher.